Home Buzz	‘Fiddler’ to Donate a Portion of Ticket Sales to Flint, Mich. The producers of the hit Broadway revival of Fiddler on the Roof announce that the production will donate $2 from every full-price ticket purchased to the show for all February 2016 performances to The United Way of Genesee County’s Flint Water Fund, which directly provides aid the Michigan city’s residents, currently suffering from a critical drinking water contamination crisis. A beloved theatrical classic from Tony Award-winner Joseph Stein, and Pulitzer Prize- winners Jerry Bock and Sheldon Harnick, Fiddler on the Roof is directed by Tony Award-winner Bartlett Sher (South Pacific, The King and I); choreographed by the acclaimed Israeli choreographer Hofesh Shechter; inspired by the original choreography of Jerome Robbins; and has musical direction by Ted Sperling. 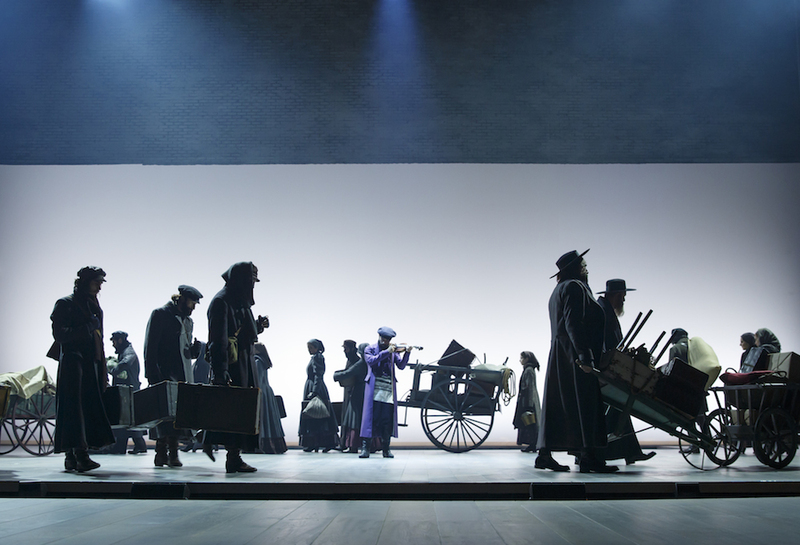 Fiddler on the Roof is playing at The Broadway Theatre (1681 Broadway, at 53rd Street). Tickets are now on sale via Telecharge.com or by phone at (212) 239-6200. The United Way of Genesee County in Flint, MI has been working alongside a few core partners since the lead was discovered in late September 2015. The United Way has sourced more than 11,000 filter systems, 5,000 replacement filters, ongoing sources of bottled water to the Food Bank of Eastern Michigan and also supports a dedicated driver for daily distribution. Funds generated through Fiddler on the Roof’s full-price February ticket purchases will be donated to the United Way of Genesee County’s Flint Water Fund, which serves both the immediate and long-term needs of the community. Monetary donations will be used for the purchase of water filters, bottled water, emergency support services and prevention efforts in Flint, Michigan. One hundred percent of donated funds are used for Flint Water Fund and no administrative fee is assessed. After the short-term need of Flint residents has been met, any remaining funds will be directed to the Flint Child Health and Development Fund. This fund will provide long-term aid to children and families with interventions that support positive health outcomes. “This is a generous gift for the people of Flint, one that will help address our immediate needs in the community,” said Jamie Gaskin, CEO of the United Way of Genesee County.